I have to rave about this really cool web site traffic analysis tool I’ve just added to the site . 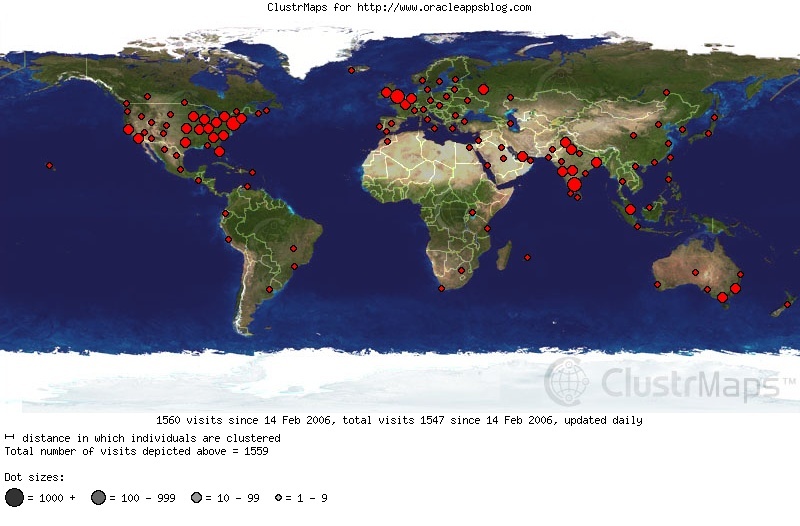 ClustrMaps graphically depicts where in the world your traffic is coming from by means of clustered dots on the world map. 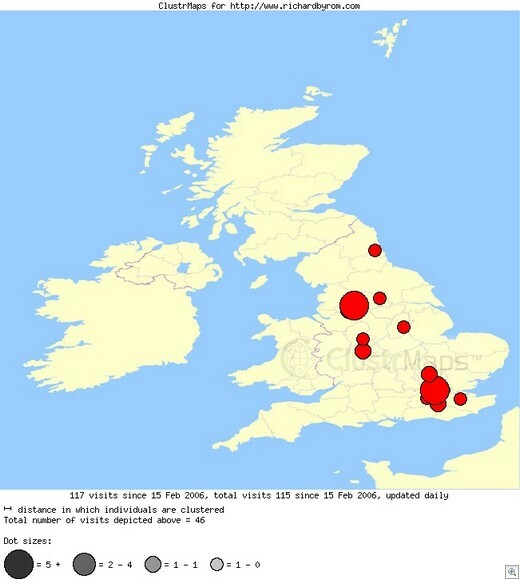 If you take a look down the right hand pane of this site you’ll see a ClustrMap which displays up to date traffic information for the blog. Clicking on the map will take you to a bigger picture of this blogs traffic distribution around the planet. Here’s an example of the world wide traffic distribution since I put the cluster map on the blog. I’ve subscribed to ClustrMaps Plus which for a small monthly fee provides unlimited archives of old maps and allows you to zoom to continents. Here’s an example of a drill down I performed on the United Kingdom traffic information.